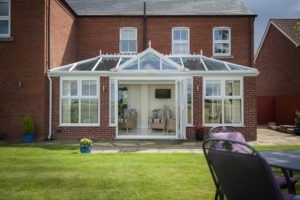 There is a conservatory style to suit all tastes. You may choose the aesthetically pleasing classic Victorian 3 Facet, or the subtle rounding of the alternative 5 Facet. The Georgian styles are optimised for space while retaining a bold presence. The Gable fronted Design blends with the existing formation of many homes. The ‘P’ and ‘T’ shaped conservatories lend themselves to larger extensions, maintaining a sense of proportion with your existing dwelling. 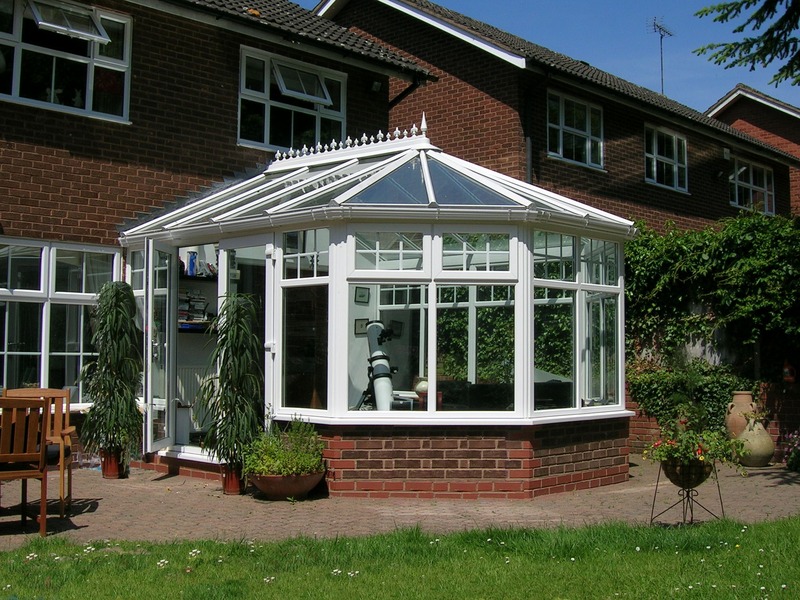 Our conservatories have inbuilt security and performance that do not compromise their look. Ventilation systems to encourage air flow, reduce condensation and prevent excessive overheating in Summer months. Ball and socket joints spread the load placed on the glazing bars, constructed from materials drawn from the aerospace industry. Cappings and claddings provide a clean finish, and also act as drainage channels for the building. And of course the entire system is built to British Standards and Codes of Practice. 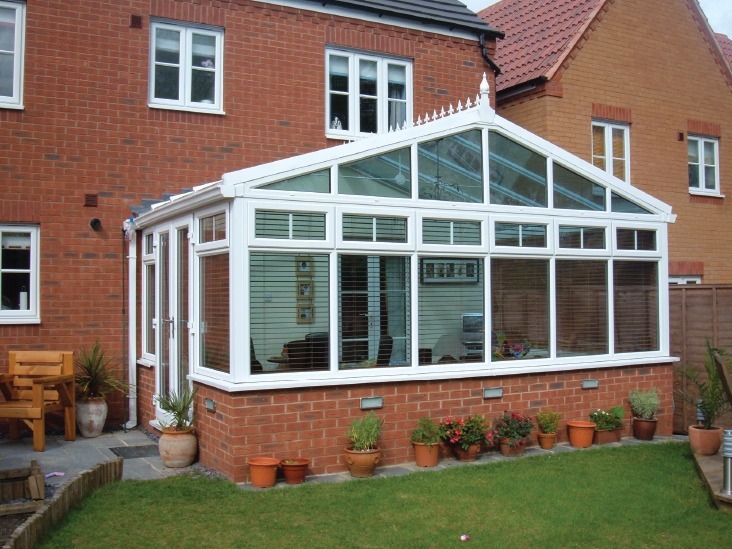 Victorian conservatories have a very graceful appearance, and are a popular choice for many homes, whatever their style. 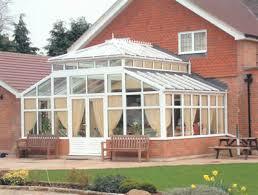 What defines a Victorian conservatory is its curved front, and the octagonal roof. There is a choice in the number of windows, and this style can be built with a bay of three, five or seven windows at the front. This is a traditional style, yet still retains the flexibility to adapt to a number of spaces. The interior is large, yet will not overpower your home. 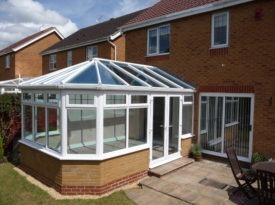 The emphasis here is very much on the look and composition of your new conservatory. 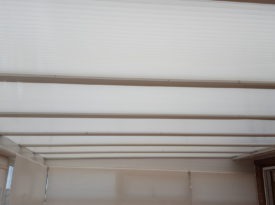 Depending on where it is sited, you can be sure of sunshine or pure daylight, throughout the day. 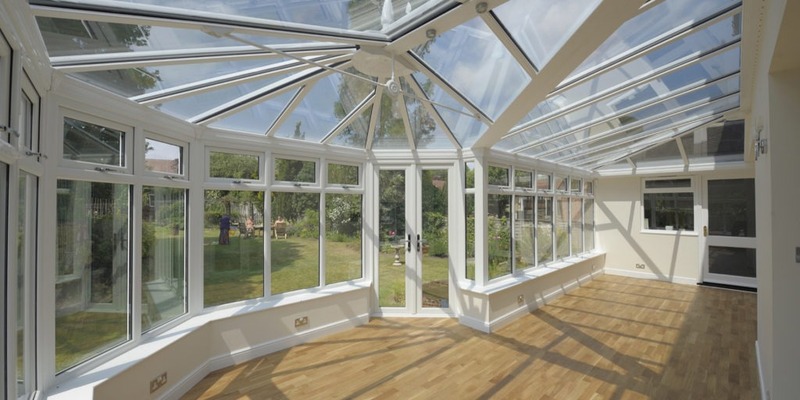 Natural daylight: When you build a Victorian conservatory, you will be able to dramatically increase the amount of sunlight that enters your home. This can make your home’s interior more comfortable and it can also reduce electricity bills seeing as you may be able to save on lighting and heating costs. Great relaxation area: Whether you enjoy a cup of tea or coffee during the morning or you are looking for a relaxing place to unwind and read your book, a Victorian conservatory offers the ideal space. Add more space to your home: Whether you’re interested in adding an extra space as a place to unwind after a tough day, or you want a sunny space to entertain friends, an Edwardian conservatory is an affordable way to add this extra space to your property. Add value to your property: There are a number of interior design options to choose from. For example, you can add internal trims and eaves that can further enhance the Edwardian architectural style to your space. 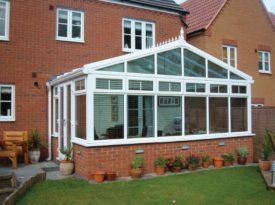 Conservatories are a great way to add value to your property. The Edwardian conservatory is very similar to the Victorian version, apart from the curved front bay window. The shape and style of the windows are defined by the shape of the roof, which is pointed. The sharp lines of the rectangle design help you make the most of maximum floor space. Letting natural light into your home is a remarkable way to change how you feel about your traditional living space. This is a stylish, and practical choice for homeowners wanting to make the most of their budget. 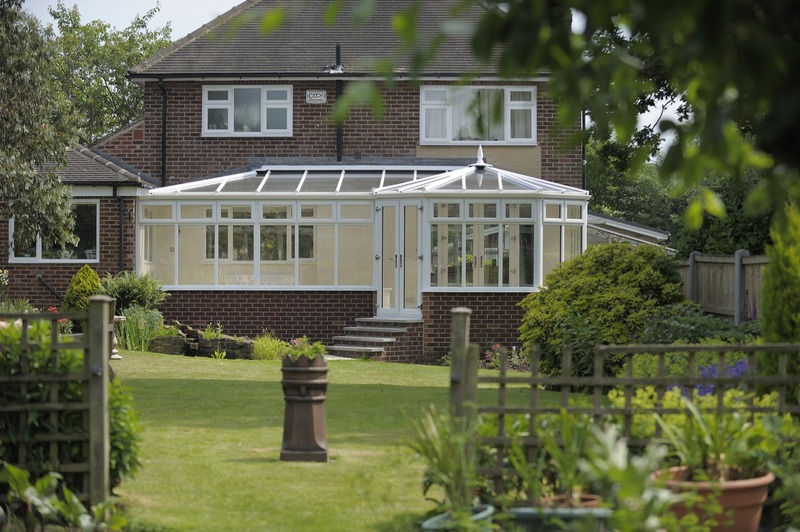 The Edwardian conservatory can suit modern as well as older homes. There is also the option to have a small wall incorporated into the design. There are plenty of finishing touches such as coloured glass, that can be used as well. little extra living space while also invigorating an adjacent room. capturing far more light and space than one would give them credit for. 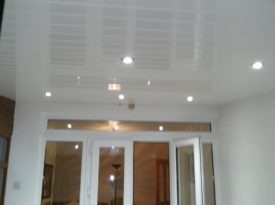 functional interior, while adding value to your home. creates an impressively larger living space for you and your family. 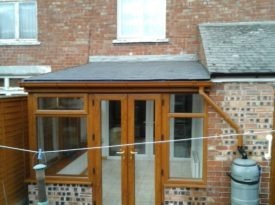 options so to create a functional extension to your home whilst adding living space and value. 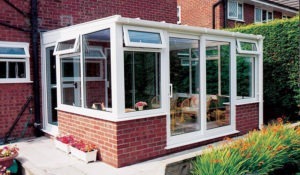 The Traditional Lean-To or Mediteranean Sunroom as it is sometimes known, is one the most modern looking conservatories. Shown here with plain infil panels, the classic shape enjoys the most efficient use of floor space, whilst the mono-pitched roof gives it this distinctive appearance. The versatility of this style is the key, the roof pitch can be as steep as 40°, or for properties with height restrictions it can be lowered to as little as 2.5°. 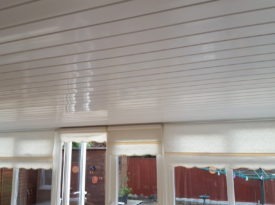 Ideal for fitting to bunglowsoffits. 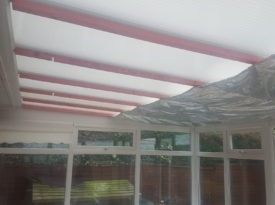 It can also be easily fitted into corners as a 2 sided conservatory (as shown) or wrapped around corners to create an L-shape. The Gable Fronted or Pavilion conservatory is a variation on the Edwardian style, utilising the maximum floor space available, but with a flat front rather than sloped. With its increased roof internal area it can give a feeling of even more space when compared to the same size Edwardian conservatory. The gable frame that is included at the front can be supplied in a variety of designs (sunburst shown) or even a completely bespoke design to match some features of your property. For houses with height restrictions or for bungalows the roof can be adapted to have a double-hip. Bright, elegant, spacious and airy. Orangeries combine the aesthetic qualities of traditional extensions and fully glazed conservatories to give you a stunning, timeless living space. Orangeries offer the perfect solution to create a fabulous open-plan kitchen, impressive dining rooms or simply the ideal space to just relax and merge the lines between home and garden. We provide our comprehensive design and installation service to create stunning looking orangeries. For those wanting a little more than a traditional conservatory an orangery is an increasingly popular solution for homes throughout Surrey and the Three Counties. Our range of uPVC and Aluminium orangeries create an elegant addition to any home; adding valuable and luxurious living space with an aesthetic grandeur that will make all of the neighbours jealous! An orangery from Three Counties combines period features such as columns and decorative fascias with the very latest in modern UPVC and glass technology to ensure that your new living space is both stylish and practical. Energy Rated Windows – Reduce your heating bills! Whether it’s beaming sunshine or wind & rain, a thermally efficient, high-security modern Lantern Roof from Window Fix Northeast can turn any room of your home into an ideal place of retreat; creating elegant space allowing for fantastic views out and natural light in. Our Atlas Lantern Roofs are designed to maximise the amount of natural light coming into your home, whether incorporated into a new build or an existing extension, we can install our Lantern Roofs on just about any flat roof, to give you the ultimate feeling of space and light in any room of your home. Our range of Lantern Roofs boasts more light and less window, giving you the ultimate aerial views from your home or extension. Precise engineering means no clunky bars or supports cluttering the ridge, no thick profiles dominating the glazing – just strong, light 40mm rafters creating slim, elegant roof profiles with excellent thermal abilities. Our Lantern Roofs can be fitted in almost every setting and with a vast choice of styles and design options, you’re sure to find one that compliments your home existing exterior decor, whether contemporary or traditional. A Lantern Roof is the perfect option for those seeking to expand their homes and make the most out of their garden and patio areas. Our Lantern Roofs provide the perfect solution for fusing indoor and outdoor living; and can transform even the most lifeless rooms unto well-lit, perfectly ventilated, energy efficient extensions, making use of the very latest in glass technology, roof design and energy efficiency, a glazed extension from Window Fix Northeast can provide a contemporary and adaptable living space to keep you warm in the Winter and cool in the Summer. 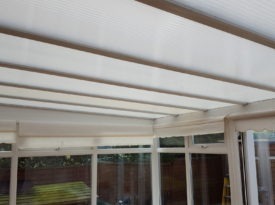 There are many options when replacing your old tired conservatory roof. 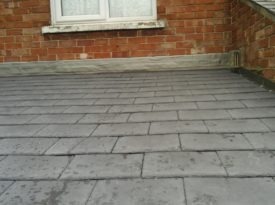 The likelihood is that your old tired roof features polycarbonate – this was a wonder material in its day. Opaque to allow light through it was strong , flexible and – at the time – quite thermally efficient. 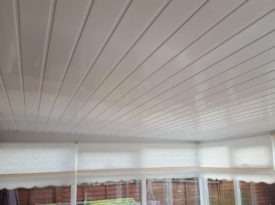 But times have moved on and one of the best ways to ‘refresh’ your existing conservatory is to replace the polycarbonate roof with a new high performance glass roof. Solar control – it is possible to exclude up to 83% of the suns energy with the correct specification. The striking design of our ‘P-Shaped’ Conservatory allows you to create different living areas to suit how you live, work and relax. Designed atop a brick wall base ensures ground levels that drop away can be accommodated seamlessly, the feature roof is bespoke designed to offer maximum light into the room. 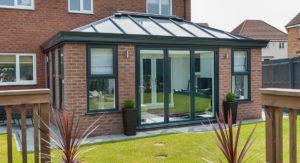 With a host of options for the UPVC doors and windows together with fine detailing on the roof, the ‘P-Shaped’ Conservatory has a classic feel and is sure to become the heart of your home. 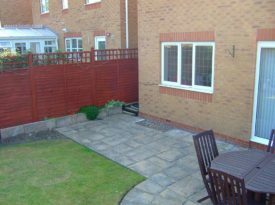 Durabase alleviates much of the hard work and most of the problems associated with the old style conservatory base construction, but still provides a safe, strong and firm foundation for your conservatory. Durabase arrives in kit form. 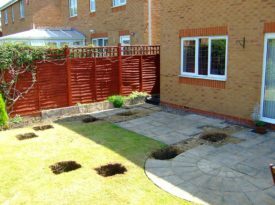 The only foundations required are a number of concrete pads placed at strategic points around the base. This means far less excavation work and waste material to dispose of compared to other methods of base construction. The Durabase System is also very quick to install. 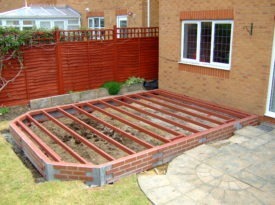 An average base and wall can be installed in less than two days! Quicker….The Durabase arrives in kit form, complete with flooring and underfloor insulation ready for a quick and easy assembly. The average base can be installed within a day! Easier….Uneven or sloping sites and difficult site access are easily overcome with Durabase. Cleaner…. There’s no need for large scale excavations, which minimises the amount of soil to dispose of and the disruption caused to the site. Cost Effective…. No need for expensive relocating of manholes or drains. 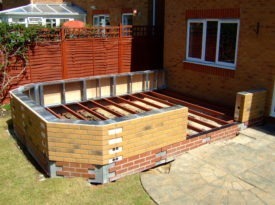 Durabase can be assembled with No specialist tradesman or brick layers are required. The Modular walls are bricked and mortared before they are delivered to site. Walls – 0.19W/m2k and Floors – 0.18W/m2k. Brick Finish…. Durabase modular walls are faced with real brick tiles and mortar. We have a wide range of finishes that will help match your existing house brick. No need to move manhole or drains….. Manholes need not present an expensive obstruction. 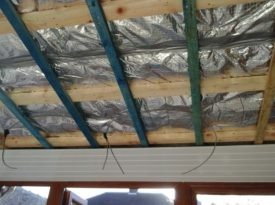 The base will naturally span the drain and access can be gained via a trap-door and removable floor joist, built in during fabrication.